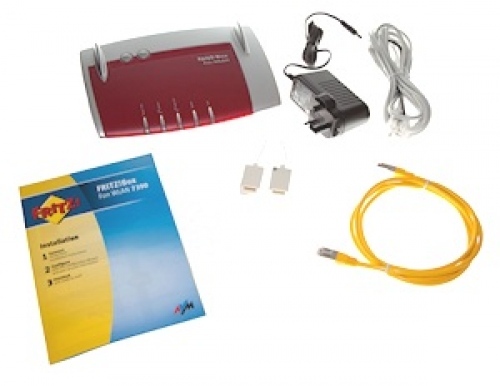 Most broadband ISP consumers in the United Kingdom are probably familiar with major Internet router and modem kit manufacturers like NetGear, Asus and so forth. But many probably won’t be as familiar with the name AVM, which has recently become much better known thanks to their latest line of advanced but affordable ADSL and VDSL (FTTC) FRITZ!Box routers. AVM was founded during 1986 in Berlin (Germany) and has been busy growing its influence ever since. The company now claims to be one of the top two manufacturers of broadband devices in Europe and holds an impressive market share of over 50% in Germany. The company’s latest broadband routers (e.g. FRITZ!Box 7390 and 3390) seem to have also peaked a lot of interest among the UK’s own enthusiast market, which is largely thanks to the mass of advanced features that AVM typically crams into their kit and all at a price that’s often lower than you’d expect for such a device. As a result AVM is growing somewhat of a following in the UK, especially among more advanced users who like their routers to be capable of considerably more than the norm. Naturally we wanted to find out more about AVM’s plans, their thoughts on the UK’s broadband market, support for the 802.11ac wifi standard and their expectations for BT’s adoption of VDSL vectoring technology to help boost FTTC (VDSL) broadband speeds. In order to do this ISPreview.co.uk has made contact with AVM’s Country Sale Manager, Matthew Tyler, who was happy to join us in a quick interview session. Tyler is originally from the USA but has been based in Berlin with AVM now for over 10 years. Q1. Like many country’s it’s widely expected that BT’s national telecoms network in the UK will shortly begin to roll-out vectoring technology on FTTC/VDSL lines. We understand that AVM’s latest 7490 router supports this and some of your older models have since been updated to include vectoring via the FRITZ!OS 6.0 firmware. What sort of challenges did you face in adding vectoring and what kind of performance benefits can customers expect to see on supported lines? Customers getting vectoring technology (ITU-T G.993.5 VDSL2 G.Vector) enabled on there FTTC lines will see performance benefits both upstream and downstream through a reduction of electromagnetic interference (cross talk) between adjacent lines. This provides for significantly higher data rates of up to 100 Mbit/s downstream and 20 Mbit/s up [ISPr EDITORS NOTE: This may not strictly represent UK lines]. We have documented an early commercial deployment here to help highlight the real speed advantages. The challenge has been to assure performances are improved over all network topographies and to assure interoperability across all DSLAMs. 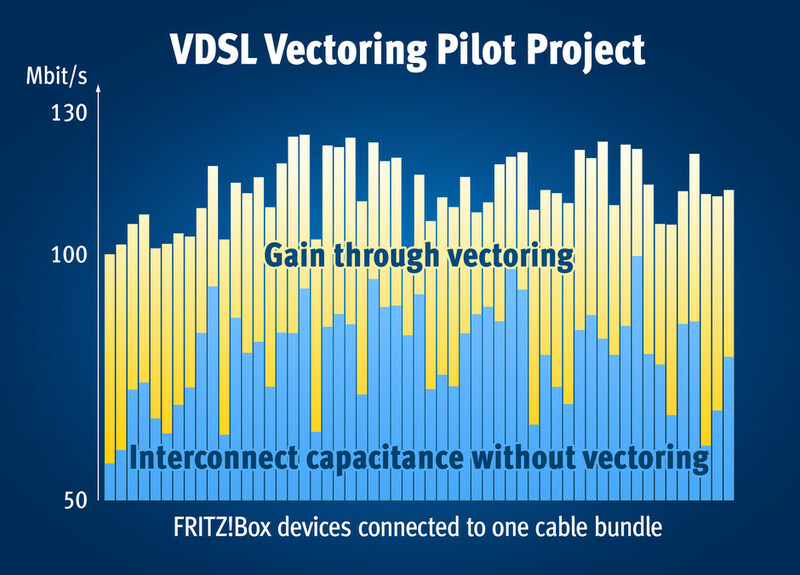 We’ve worked closely with our technology partners on DSLAM side and chip manufacturers to developing vectoring on all of our VDSL routers and our DSL engineers were able to demonstrate AVM’s vectoring capabilities very early at all the international plug fests and exhibitions. EU telecom testing has included visits to GEA-FTTC BT labs to assure that the FRITZ!Boxes are GEA FTTC and vectoring compliant in the UK. More on the topic of the international vectoring interop plugfest at the University of New Hampshire can be found here. Q2. It seems like the Gigabit capable 802.11ac wifi standard (supported by AVMs 7490) has only been out for a short period and already people are talking about the next upgrade, 802.11ac-2013. This is promising speeds of 7Gbps by making better use of the 5GHz frequency band (i.e. adding channel bandwidths of 160MHz with both contiguous and non-contiguous 160MHz channels for flexible channel assignment). Can you tell us, has AVM experimented with this new standard, what are your thoughts on it and when might we see the first 802.11ac-2013 product from AVM? Today, 11ac is still relatively newly accepted standard. Our focus is on helping our customers have the most rewarding experience with this new advance. While the smart devices and notebook manufactures have begun to integrate 11ac on their newest devices, we have introduced Wi-Fi 11ac USB sticks and Wi-Fi 11ac Repeaters to compliment connectivity in existing networks. AVM is a full member of the Wi-Fi Alliance and are dedicated to fast implementation of on-going Wi-Fi innovations. The benefit to supporting IEEE Wi-Fi standards assures long-term compatibility for all standards. While Wi-Fi 11ac 2013 (called 802.11ac Wave2 within the Wi-Fi Alliance) is an industry development that we are closely following, our focus continues to be on the successful deployment of 11ac (wave 1) in the residential home. AVM Wi-Fi Engineers recognise the significance of Wave2 as an exciting technological advance and have clear plans to stay on track with it’s development in the FRITZ!Box. Continuous advancement in innovation are AVM trademarks. The close working relationships that AVM has to the chip manufactures and the Wi-Fi Alliance help us to plan when and how these new Wi-Fi technologies should be most effectively launched in the existing market. Have been running a 7390 for nearly three years now in the UK. Quite satisfactorily and acts both as a DECT for the analogue voice and as modem and router for DSL tech including FTTC for data and provides easy VOIP and IPv6 functionality, and a limited mobile dongle access facility; though the NAS function can be a bit of a devil. The trouble is as with everything to do with telecoms, we want it all cheap as chips (the fried variety not the electronic), and it isn’t. pathetic vdsl rubbish not worth the hassel and suppose to have less problems yeah right !!!! Thank you for the information you have pass, good at all.